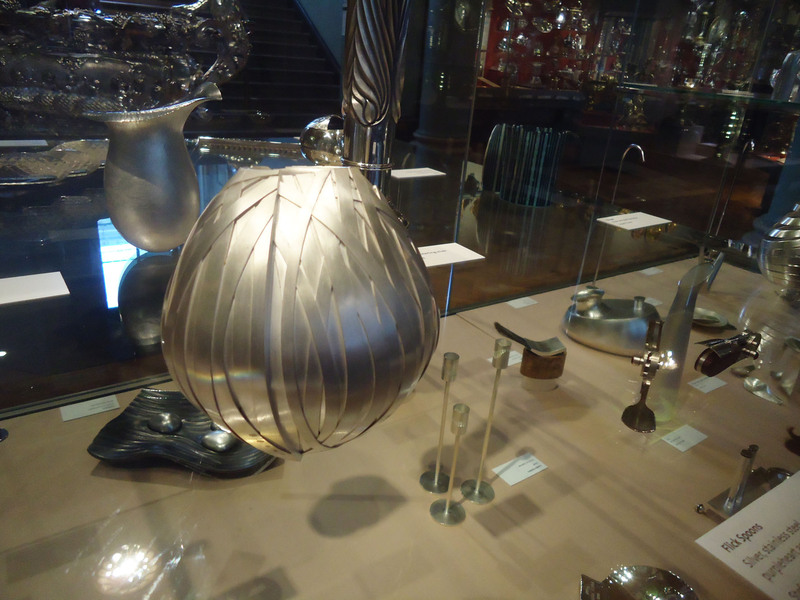 When I was in London for Jewellery Week I made some time to sneak down to one of my favourite parts of the city – the Victoria and Albert Museum. 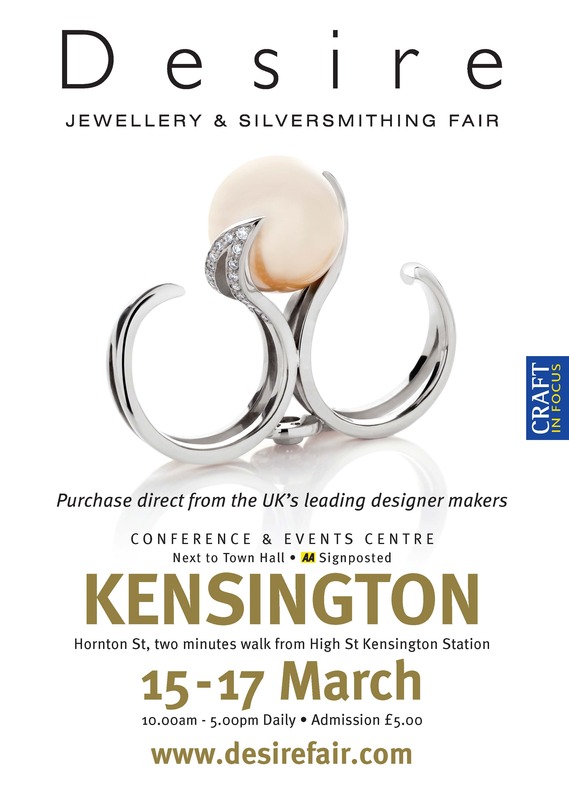 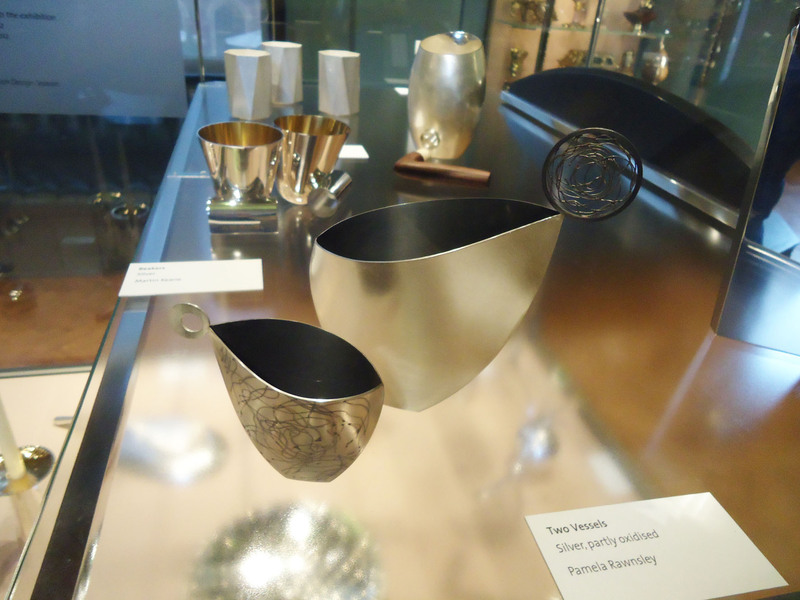 Over the summer it’s hosting a show for the Contemporary British Silversmith‘s Society entitled ‘Fit for Purpose‘. 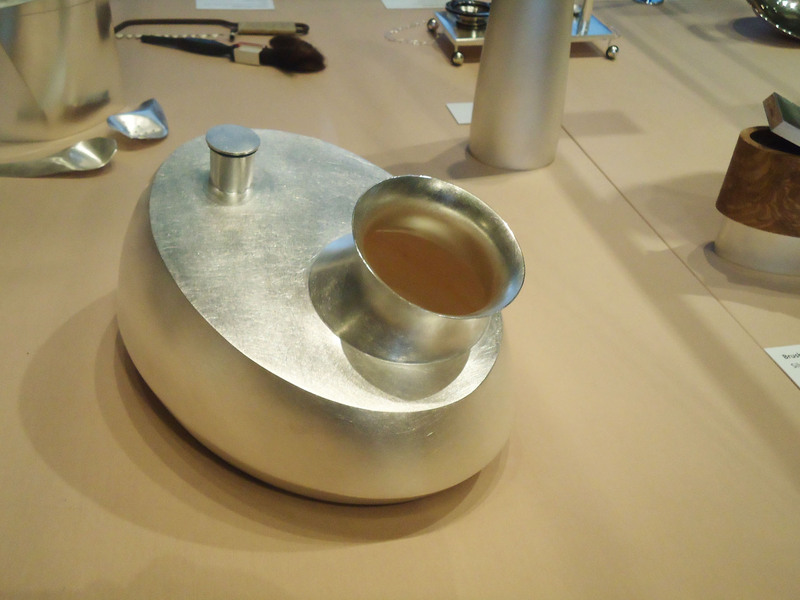 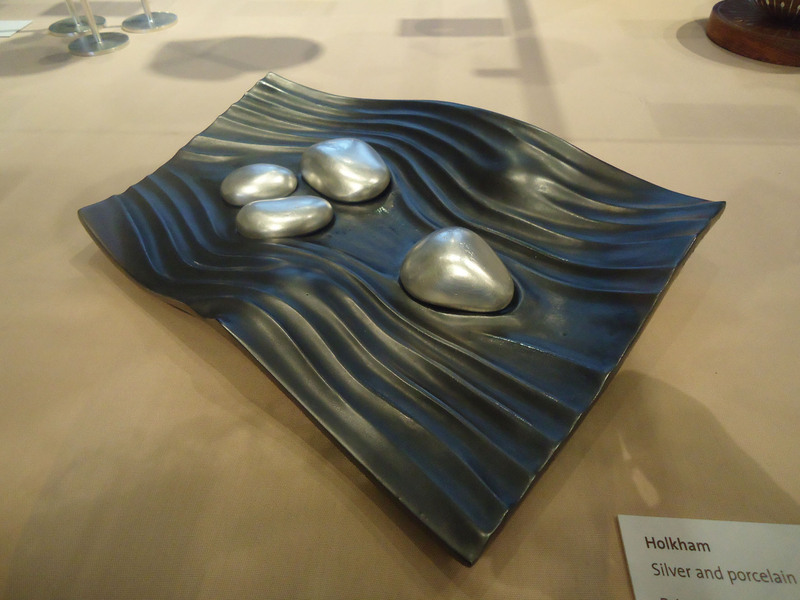 The show has an interesting concept given that, in the last century or so, the market for silver has changed so radically and the ‘purpose’ for which most silverware is now made has shifted. 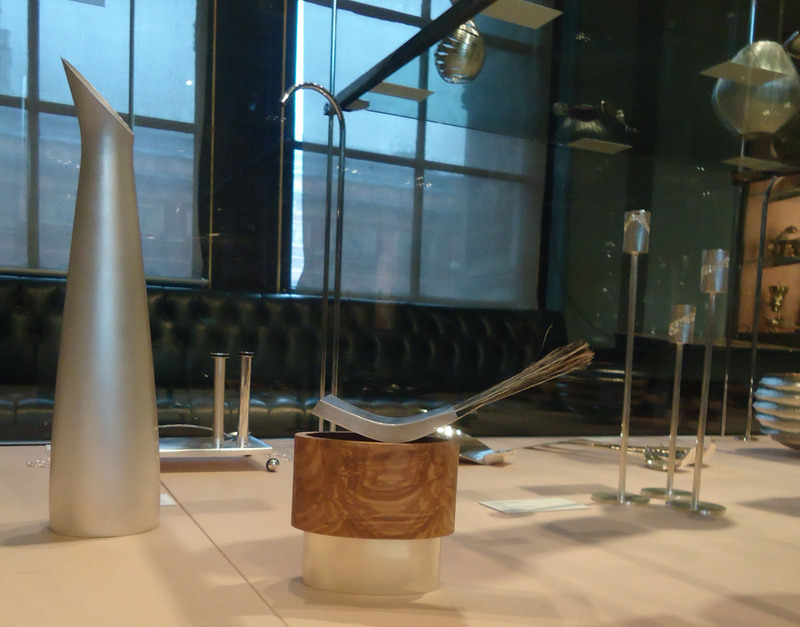 Gone are the days of large firms making household, utilitarian silverware and the market is now much more dominated by studio makers exploring the craft for private clients and small retailers. 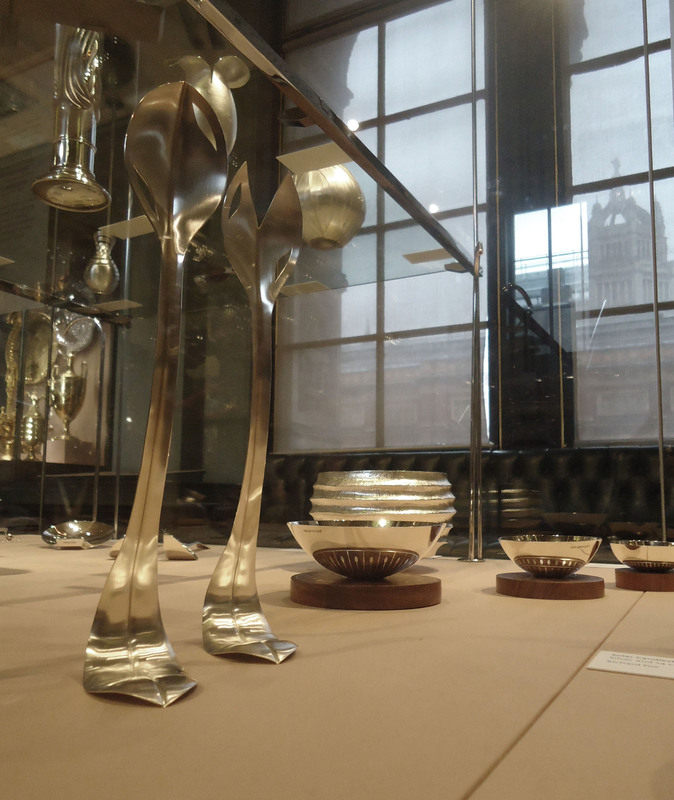 The work on display is varied, from that clearly designed for a more traditional purpose – like Louise Mary‘s salad servers (utilitarian, but no less elegant for being so) to the intentionally conceptual pieces of Rajesh Gogna. 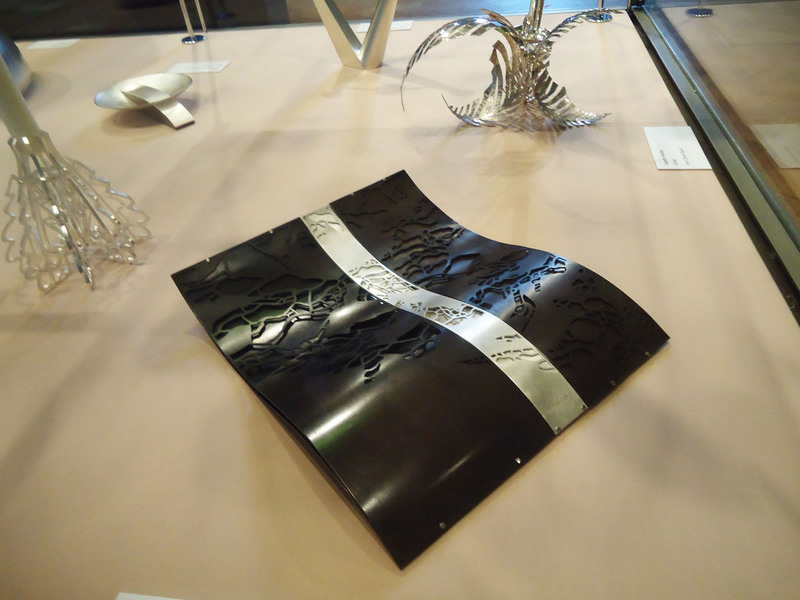 There’s also a beautiful piece of Kevin Grey‘s laser welded work, a stunning set of angular beakers from Mary Ann Simmons and a wonderful sculptural tray from Alex Ramsey, which bears her distinctive and delicate cut patterning spread across a form I’ve not seen before. 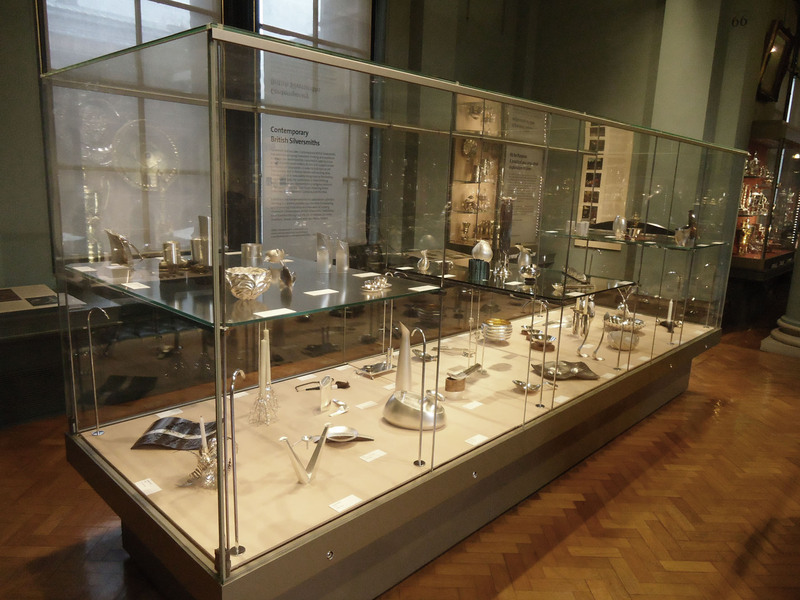 For a small case it’s a wonderful collection of work that’s well worth a visit – the show continues in the V&A silver galleries until the 16th of September 2012. 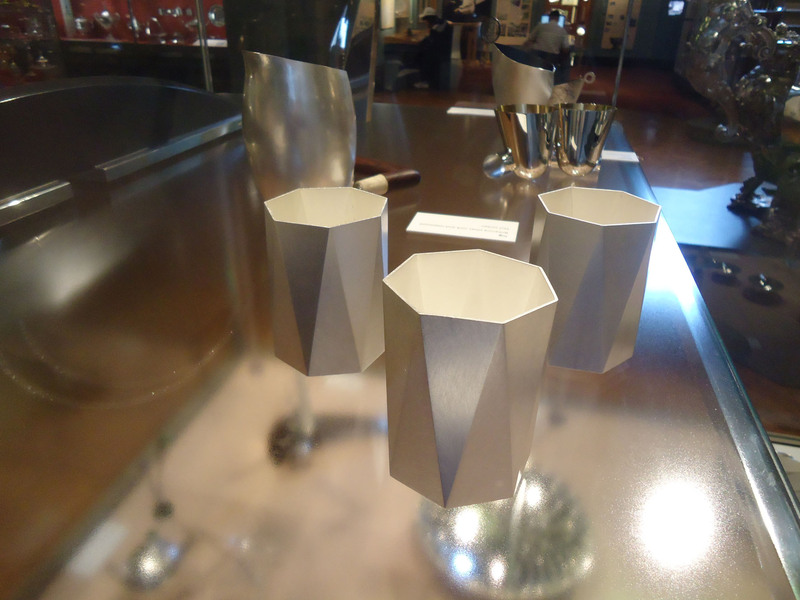 Becca is a Jewellery Designer and Silversmith who works in a little studio in Birmingham's Jewellery Quarter.